After years in foster care, Breanne Gallagher has the stable life she’s always wanted, living with her foster-sister, working as a chef, enjoying her comfortable routines. Then one devastating night, a hellish creature invades her apartment and shatters her fragile existence. Shifting between monster and man, it slaughters her foster sister and assaults Bree. 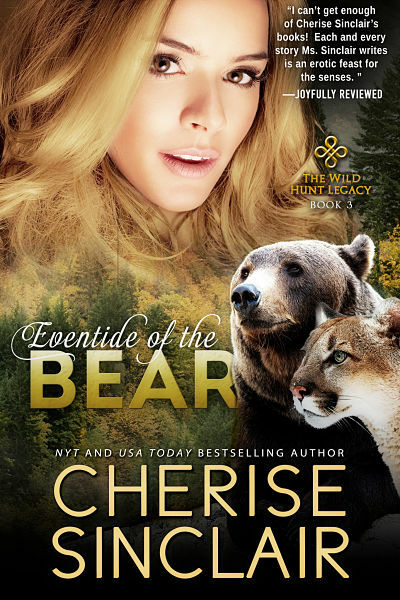 Alone, wounded, her beloved home tainted by gruesome memories, Bree flees to a tiny wilderness town, following her only clue to her past. Shapeshifting warriors, Zeb and Shay move from one pack to another, hunting the hellhounds which prey on their kind. Assigned to Cold Creek, they take over management of a decrepit fishing lodge for their “human” cover. Their first renter is a pretty human female who trembles at the sight of them—yet stands her ground. Furious at the hurt they see in her eyes, the protective nomads are drawn into helping her. 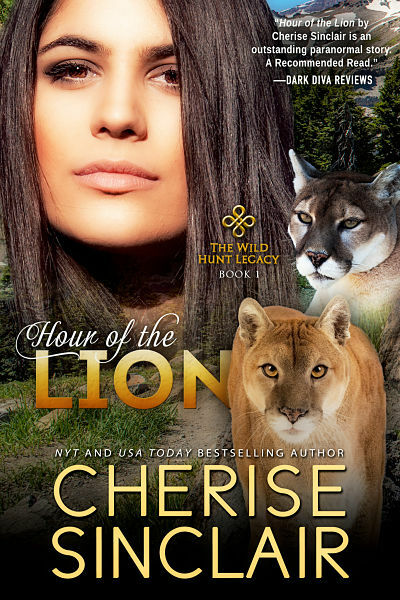 Although no shapeshifter is ever attracted to a human, her scent is oddly compelling, and her ferocious determination to conquer her fears ignites longings neither loner ever expected to face. 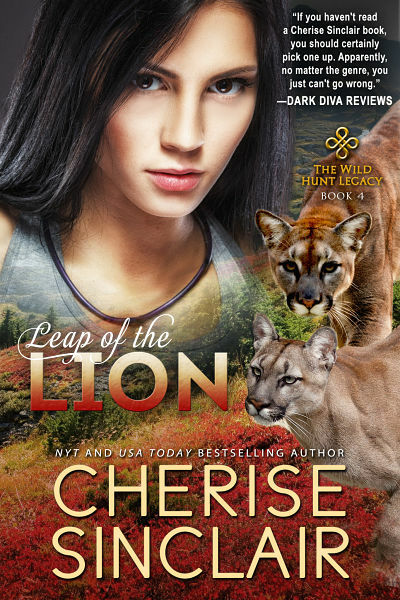 Bree is healing, learning to shoot the biggest pistol she can find, and overcoming her fears, especially of the two deadly, disconcertingly attractive hunters. 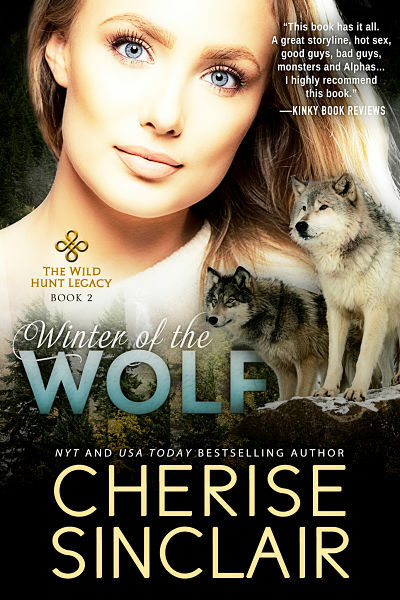 Her life is getting back on track…until she tries to save a little girl from a hellhound and discovers everything she knows about herself is false. Well, I’m here. After deciding to leave Seattle four days ago, Bree had started her search for her parents. After enlarging the photo, she managed to decipher the sign on a building in the background—the “Wild Hunt” tavern. The only bar of that name in the entire United States was in this tiny town nestled deep in the Cascades. As she steered her Toyota out of Cold Creek, she stared. There was the bar! Her parents had actually been there. Oh, wow. She braked, then sighed and kept driving. Investigate later. First, she needed a place to stay. About a block or so past the tavern, she spotted a sign for the Wildwood Lodge. She’d hoped to stay at the downtown bed and breakfast, but it’d closed for repairs during the off-season. Murphy’s Law strikes again. The B&B’s owner said the lodge was newly reopened, and maybe there’d be a cabin available. Maybe. She pulled in an exhausted breath. If she didn’t find a place to stay, she’d probably break down and bawl like a baby. She turned left onto a tiny dirt road. As the car squeaked and complained about every muddy rut, her hands tightened on the wheel. Gritting her teeth, she tried to dredge up some enthusiasm. Look at me. Miss Never-been-out-of-the-city was going to stay in a wilderness lodge. Woohoo. But it was impossible to ignore the wailing voice inside her: I don’t want to be here. I want to go home. After parking the car in front of the lodge, she crossed her arms on the steering wheel and lay her head down. So tired. Her eyes burned. The raw wounds on her arm, back, and leg ached from the jostling and long hours in the car. She slid out and closed the door, feeling as if she were shutting the door on her past as well. But as she breathed in the icy-scented air and the early afternoon sun warmed her shoulders, her spirits lifted. Patches of snow were melting into miniature streams, as if to please the tiny fairy peeking at her from an overhanging branch. Behind the lodge and the cabins, the slope rose into ever-higher foothills and glacier-covered mountains. She climbed the steps to the porch. Unsure whether to enter, she tapped on the closed door. “Hold on.” A man’s voice. A minute later, the door opened. The guy was huge, well over six feet tall and built like a football player—one who’d taken far too many steroids. Feeling the blood drain from her face, Bree hastily took a step back. Her stomach twisted uneasily. Yesterday, when she’d picked up her paycheck at the restaurant, she’d discovered that big men now made her…skittish. Way skittish. And this guy’s appearance went with his size. He had a lean battered face. A hard jaw with a cleft in it. He practically oozed testosterone. She tensed, waiting for him to advance on her. “Can I help you?” He didn’t move. His gaze lingered on her body, and she stiffened, until she noticed his attention was on her white-knuckled hands. His eyes narrowed, but he answered easily, “Yes, we have one available and yes, you can see it.” When he smiled, laugh lines crinkled around his blue-gray eyes, and she relaxed. “That’ll work then. It’s a one bedroom.” He limped across the porch and down the steps, obviously trying not to favor his right leg. “No problem. I had a run-in with something large and fast. I lost.” He sounded pretty pissed off about the losing part. Her mind immediately jumped to a monster. Ah, no, Bree, don’t be stupid. A bear? She glanced at the trees that could hide about anything. Or maybe he’d just had a nice normal car accident. Darn. But fair was fair. “Same thing.” Definitely large and fast; definitely lost the battle. She forced her breathing to stay smooth and ignored his curious look. They turned onto the lane off the dirt road. Surrounded by forest, the log cabin appeared tiny under the giant trees. “Hansel and Gretel’s place?” she murmured. “The hu—the fairy tale, right?” His slow smile erased the lines of pain beside his mouth. How old was he? In his thirties? Shaggy brown hair fell over his forehead and curled along his collar in back, but she didn’t see any gray in it. He was pretty beat-up though. A prizefighter’s face. His nose had been broken at least once. Two blue-tinted scars marked a tanned cheekbone—one shaped like a knife, the other a primitive sketch of antlers. Fine parallel scars ran across his jaw. A quiver of unease ran through her. How had he collected so much damage? He opened the door, motioned her in, and waited as she wandered around. The style was rustic. She walked through the “living room” which consisted of a brown and green couch and two worn leather chairs by a glass-fronted woodstove. Near the back was a sorry excuse for a kitchen and a small round table with three chairs. The bathroom was at the back left, tiny but clean, with dark green towels. To the front left, the bedroom had a queen-sized bed with a beautiful handmade quilt, a dresser, and a bedside table. There was no closet to search for bogeymen. One less place to worry about. The entrance and back doors were heavy oak. The front window was large and…she looked closer. It had metal bars on the inside, hinged so they’d open inward. He stood inside the bedroom, his big frame blocking the door. She choked and backed up so fast her shoulders banged into the wall. Pain flamed across her wounded shoulder and arm, and her legs wobbled. Heart hammering, she raised her fists and squared her stance. Darned if she’d go through life afraid of everything and everyone. Not again. Been there, done that, have the black belt as an answer. He breathed in, and his nostrils flared as he studied her. “Relax, a leannan. I don’t go around attacking females.” He stepped back and went into the living room. She huffed out a shaky breath and sagged against the wall. I need a gun. Of course, shooting the landlord would mean no bed tonight, and she really wanted a place to stay. If he’d rent her anything now. He probably thought she was crazy. She walked out of the bedroom and saw him leaning on the far wall. “I’m sorry. Too much caffeine makes me jumpy,” she said. “I’ve heard it can do that.” His expression said he didn’t believe a word of it. Eyes the color of a winter sky studied her. “Too much caffeine, huh,” he said in a dry voice.